Glenmoor Gardens is one of Fremont's oldest neighborhoods dating back to the 1950s. We are comprised of nearly 1,900 single family homes in central Fremont characterized by ranch style homes on large lots with neighborhood schools and parks. Glenmoor Gardens is rich in history and tradition. We are proud to maintain a small town neighborhood feel to our community where everyone knows their neighbors. Our residents are diverse and still include many original Glenmoor Gardens homeowners. The homes in Glenmoor Gardens are part of Glenmoor Gardens Homeowners Association (GGHA). GGHA is overseen by a Board and office staff whose primary focus is to improve and maintain the two private parks and recreation facilities, as well as ensure homeowner adherance to the association’s bylaws and CC&Rs attached to all property deeds. GGHA also publicizes a biannual newsletter and sponsors several annual community events such as a Fourth of July parade & BBQ and a holiday tree-lighting ceremony, for Glenmoor's residents. Our community is proud to have several wonderful recreation amenities available to our residents. Glenmoor Gardens has private parks, pools, tennis and basketball courts located in the heart of our association available for residents' use. In the 19th century the area where Glenmoor Gardens is now located was comprised of several large farms where stock were raised and grain grown. Many of these farms were owned by early settlers whose names you might recognize - Garrett Norris, Herman Eggers, Robert Blacow, and Martin Brophy - because many Glenmoor streets were named after several of these orignal landowners. By 1900 most of the large agricultural estates of the pioneer settlers had been broken up into small farms that were primarily used for growing apricots, cherries, and walnuts. One of these farms was owned by prominent landowner, attorney and civic leader John G. Mattos, who built a large house on his property and leased out acreage for farming. His residence still stands today at 38323 Blacow Road, near Mattos Court. 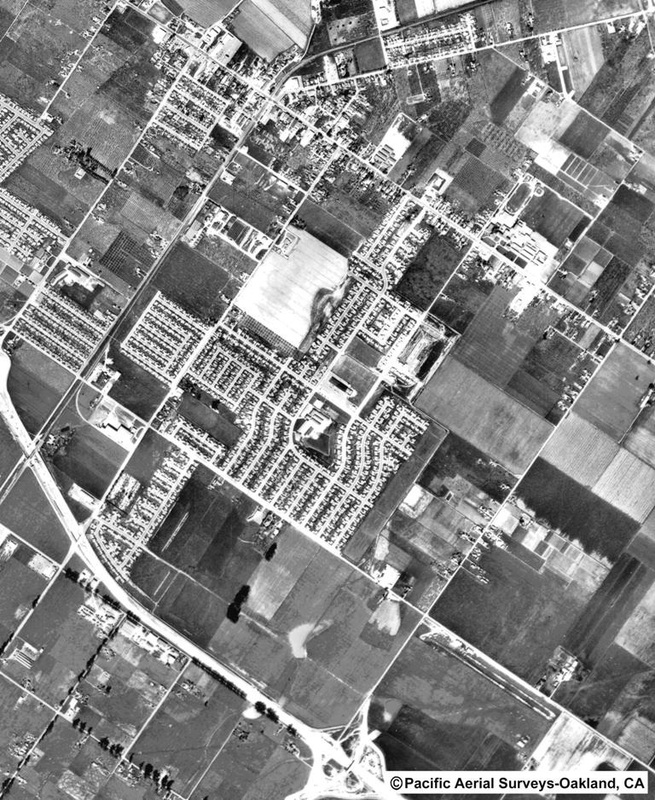 Glenmoor Homes, Inc., was incorporated in 1951 by James R. Meyer with his partners civil engineer Ralph E. Cotter Jr, contractors James L. Reeder and Robert H. Reeder, and civil engineer Fred T. Duvall. Most of the partners ended up residing in Glenmoor Gardens, and having Glenmoor streets named after them. Most notably, Meyer Park was named after James Meyer. 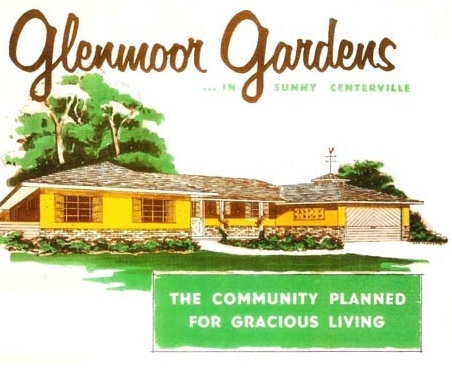 In the summer of 1951, Glenmoor Homes secured an option on a 10-acre parcel fronting on Central Avenue, and on November 30, 1951, the map for the first tract of Glenmoor Gardens, Tract 1122, was filed with the county recorder. The recreational focus of Glenmoor Gardens was a three-acre park adjoining Glenmoor Elementary School. Privately developed for the residents of Glenmoor Gardens—an amenity included in no other Fremont-area subdivision of the 1950s—the landscaped grounds of Meyer Park included tennis courts, basketball courts, a playground, and a swimming pool (opened July 4, 1958). A similar facility, Alta Park, located on Alta Drive opened in 1963. These amenities are still enjoyed by Glenmoor Gardens residents today. Most homebuyers in Glenmoor Gardens were young families with children, so schools were critical to the success of the development. Glenmoor Elementary School opened in 1955 and was enlarged in 1957–59. John Mattos Elementary School opened in 1959 on Farwell Drive, followed by Maloney Elementary School in 1961 on Logan Drive. These elementary schools still serve Glenmoor Gardens residents today along with Centerville and Walters Junior High Schools, and Washington and Kennedy High Schools. While much has changed since Glenmoor Gardens was originally built, this neighborhood has maintained it's character and charm through the years and is still a great place to live and raise a family. Glenmoor is still a family oriented community where families gather at the pools and neighbors have block parties. The homes and landscaping throughout the neighborhood are still wonderfully maintained, and the association is still active in maintaining the wonderful facilities. Glenmoor truly is a great place to live, raise a family, and establish lifelong friendships. Glenmoor Gardens would like to thank the city of Fremont for gathering and orgainzing much of the historical information that is presented on this page. While developing the Design Guidelines for Glenmoor Gardens, the city researched and document the history of our community. To read the full version of their work, please see the Design Guidelines the city documented for Glenmoor.